TurnKey Coaching & Development Solutions offers a comprehensive, full range of professional corporate coaching solutions. We have comprehensive executive coaching programs, integrated training and coaching for your emerging leader program (High-Potential program), and add-on targeted training workshops and E-Learning resources. Additionally we have the bandwidth, credentialed coaches, and experience to provide these services across your entire, global organization. Companies know that training investments are crucial to the sustaining success of the organization. In recent years, clear evidence indicates that professional coaching has emerged as the secret weapon in the world of professional development, succession planning, and employee retention. Just imagine an affordable, professional suite of Coaching & Development Solutions that you can offer any level of manager or high potential professional. This is what we do. TurnKey Coaching & Development Solutions provides a comprehensive suite of solutions for corporations to meet all of their coaching needs. Our corporate coaching programs are custom-designed based on departmental or company objectives. 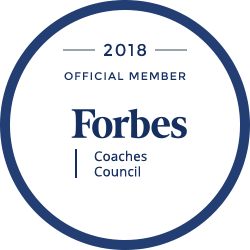 We presently have 80+ professional, highly qualified and certified coaches plus access to hundreds more for a superior coach-coachee match—satisfaction guaranteed. Additionally, our sophisticated, proprietary systems for managing large scale contracts with multi-tiered oversight, quality control and accountability reporting allow us to deliver effective corporate coaching programs globally. Imagine how effective your corporate coaching program could be if it were custom-designed around your industry, your company’s objectives and identified leadership or performance competencies. TurnKey has a suite of proven tools, methodologies, and program elements that can be easily (turnkey) assembled into a powerful and relevant coaching program. We integrate your leadership competencies, company language, preferred internal assessments, and HR processes into our coaching menu of services so that we can deliver a highly refined and company-specific solution with speed and agility. Unquestionably, individual one-on-one coaching in a safe, confidential relationship is the best and most effective approach for leadership development of senior executives. This has been extensively confirmed and reinforced by leading authorities over the last several years. And TurnKey is a leading provider of global coaching services. TurnKey executive coaches and consultants have decades of senior level business leadership experience in addition to years of coaching experience, extensive training, and serious credentials. Today’s companies are fast moving, culturally diverse and organizationally complex, with complicated reporting and authority relationships. Our clients appreciate the fact that we really understand their daily experiences and challenges of global corporate leadership. We believe senior executives are looking for pragmatic, laser-focused business coaches, not therapists. TurnKey Senior Professional Coaches are all highly experienced executives with extensive hands-on knowledge about what it takes to be successful in a competitive corporate environment. Our coaches are experts in facilitating successful growth and development, at the highest corporate levels, and unleashing the potential of already powerful executives. The depth of our expertise coupled with the selective use of tools, interviews, and other instruments enable us to tailor our coaching to each client’s unique needs for maximum results. TurnKey applies a systematic and strategic approach to executive coaching gleaned from years of practical experience and ongoing study and research in the areas of executive development, human behavior, and professional coaching skills. We strongly believe in coaching to strengths. The most successful executives find ways to maximize the use of their strengths and mitigate their development challenges. HR outsourcing firms, consultants, and other business service providers are expanding the services they offer to their corporate clients. At the same time, coaching is becoming more sophisticated and requires a higher degree of specialization and resource management. For HR outsourcing companies, we provide the private-labeled coaching program services as an add-on to their current product lines. By partnering with TurnKey, firms can leverage our global coach staffing, infrastructure, program management, quality control, and expertise to effortlessly increase revenue. Our wholesale coaching services support public speakers and membership-modeled companies who want to offer professional, custom-tailored coaching programs to meet the demands of their unique fans and members. TurnKey provides a co-branded, value-added, coaching package tailored to your unique message and customer needs. We work with you to create reliable, sophisticated training resources for specialist coaches, then we ensure quality and customer satisfaction for your followers. Our solution generates recurring, residual, passive income—hassle free. Our effortless, global, scalable coaching solution can be profitable from day one. When specific training and development opportunities become apparent and even critically important, especially during professional coaching program engagements, our clients tell us that our ability to be their ‘Go-To’ vendor is one of their most appreciated aspects of working with us. TurnKey Coaching & Development Solutions has partnered with professional corporate trainers and organizational development experts to provide a compelling selection of training programs. Our keynote speaking, presentations, workshops and highly-praised corporate training programs may be swiftly employed to respond to any urgent, educational need in a timely and effective manner. We are admired for our ability to execute our programs swiftly and professionally for all things corporate training, development and corporate coaching related. Presently, there is a scarcity of data regarding the best practices for implementing and managing an internal coaching program. With our global database of qualified, professional coaches, our seasoned experience with custom-designed, coaching programs and our fingers on the pulse of what works and what doesn’t in corporate and executive coaching, we can naturally support corporations with the formation of their own internal coaching programs and the recruiting of qualified, professional coaches. Call us! We are happy to consult and answer your questions – 281-469-4244.